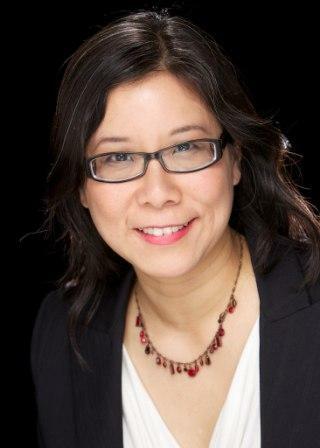 Carolyn Ou is a geek, impish speaker and mother of two who has been everything from a change management and communications consultant, to college dean and marketing copywriter. She coaches new and emerging leaders, creatives and entrepreneurs, consultants, politicians, educators and more, to get out of their heads and step into action around their work and life vision. In creating Sandbox Consulting, Carolyn was inspired by the sandbox as a place where both everyone can create and explore without fear of the results, and in doing so enjoy the process. Her goal in creating Sandbox Consulting is to bring some of that simplicity, clarity and play to her clients in their daily work and life. Carolyn has an MBA in Strategy from Indiana University’s Kelley School of Business and a BA with Honors in Renaissance Studies and Comparative Literature from Brown University. She is a certified Marshall Goldsmith Executive Coaching Stakeholder-Centered Coach and Executive/Career Coaching provider for the Brown University Alumni Association, as well as co-founder and head wrangler of the Logan Square Mompreneurs group in Chicago, Illinois. In her spare time, you can find her singing and playing keyboard and fiddle with the Little Miss Ann Band, a kindie band in Chicago.